Ford Field is not only home to the Detroit Lions of the National Football League, but had the honor of hosting Super Bowl XL in 2006. The 1.8 million square foot professional sports stadium is located adjacent to Comerica Park, and the two stadiums comprise the heart of Detroit’s sports district. 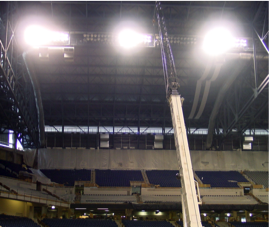 Ford Field was an enormous undertaking, and Motor City Electric Co. was selected as part of the design assist team. 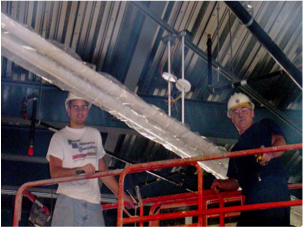 Our professional project managers, engineers, and field supervisory personnel carefully coordinated with general contractor Hunt/Jenkins/White/Olson and its subcontractors to ensure integrated project delivery from conceptualization and design through implementation, construction, and closeout. 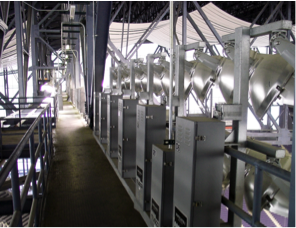 Motor City Electric Co. incorporated state-of-the-art technology, stadium lighting, broadcast equipment, security, and telecommunications systems into its installation in the facility. 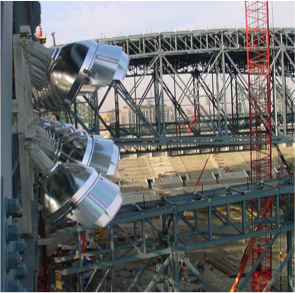 This included raceways and wiring for power, lighting, audio/video, and mechanical systems to ensure that it shines brightly in the eyes of the public both in person and on-the-air. 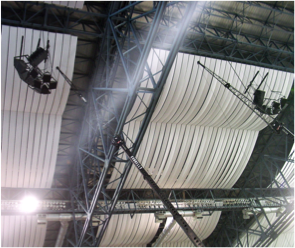 Ford Field’s massive roof truss system spans an incredible 450 feet. It was assembled on the ground and then lifted into position by a computerized system of jacks and pulleys. 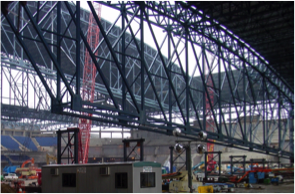 MCE pre-wired the massive truss roof system as it hovered approximately 60 feet off the ground before it was lifted into its final position 128 feet above the concourse level. 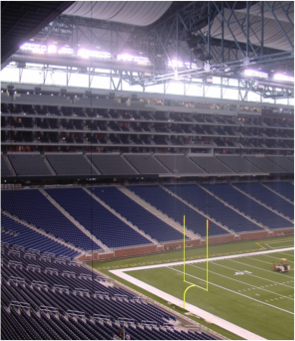 Managing an aggressive work schedule, the team had the 65,000 seat Ford Field completed for its grand opening on August 24, 2002, just 22 months after breaking ground.